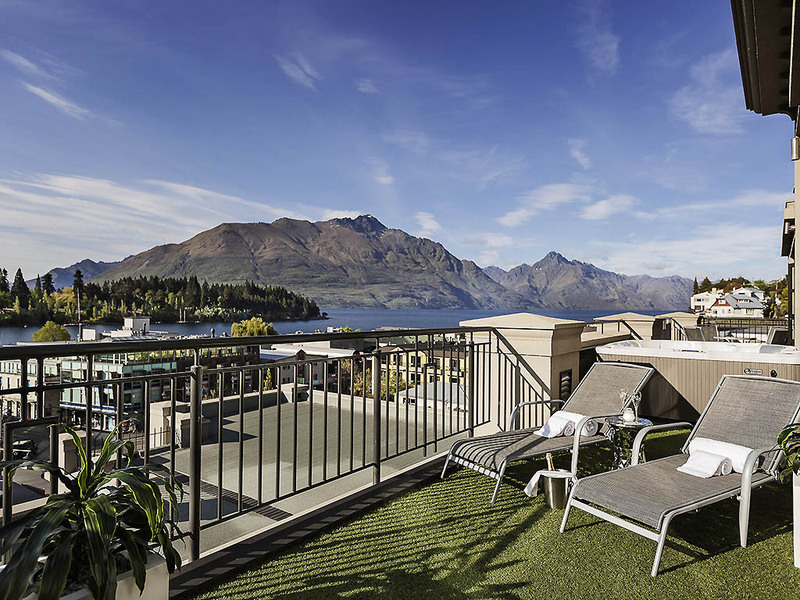 Discover an award-winning Queenstown luxury hotel that year after year gathers accolades - from the Best New Zealand Hotel -Hotel Management Awards 2010 and 2011- to the Worlds Best Hotel Spa -Travel and Leisure 2011-. 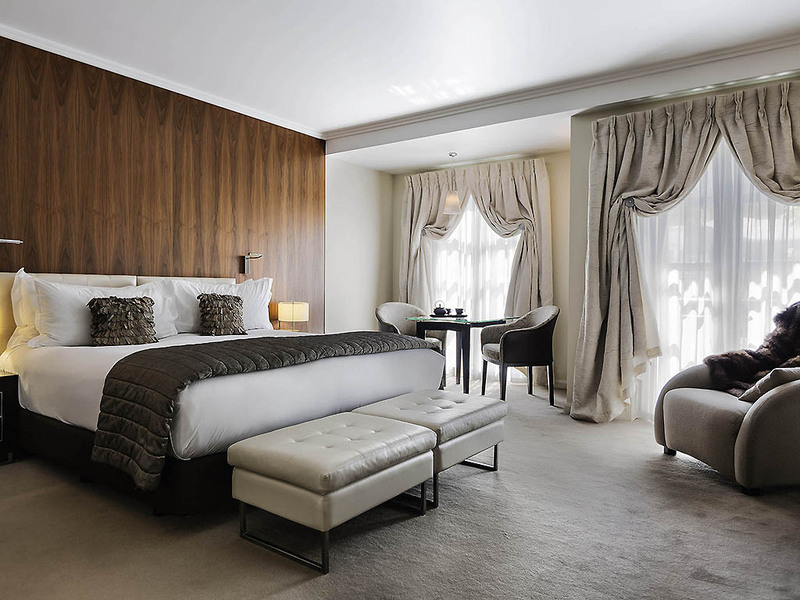 "Each Sofitel is a unique blend of the French art de vivre & local refinement. With a luxuriant design that invokes the panache of Paris & warm hospitality inherent to any Queenstown stay, the hotel continues to create moments of 'pure plaisir' every day. "The yellow and gold coloring interwoven throughout the design is inspired by the Kowhai flower, native to New Zealand with the gold paying homage to the rich gold mining heritage of the region. Left Bank Café celebrates a rustic French bistro menu combined with New Zealand flavours; country at heart with a sophisticated flourish. The experience at Left Bank is one of dining in a sidewalk cafe in Paris yet being in the very heart of Queenstown. A classic Steinway piano stands proudly in the lobby of the hotel offering a hint of old-world nostalgia. At 150 years old, the unique antique provides a refined centre piece on arrival at the hotel. 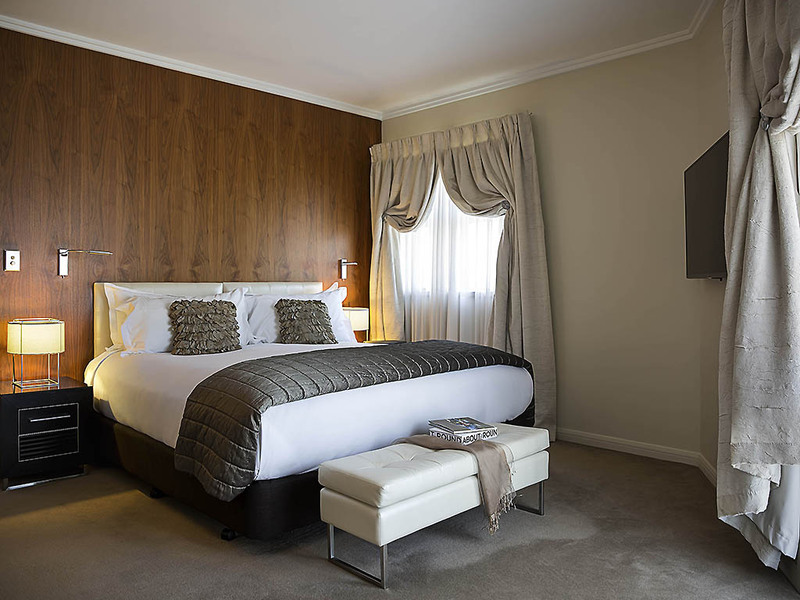 Centrally located within close proximity of Lake Wakatipu and 15 minutes from the airport, the hotel occupies an ideal position from which to explore the cosmopolitan Queenstown dining and shopping precincts and ski fields. 41m², 441sq.ft. Mountain or Town Views, Juliet Balcony, Sofitel MyBed, LCD TV. Marble bathroom with rain shower, double spa bath and LCD TV. Espresso machine and Bose Wave Radio. Complimentary WIFI up to 1 Gbps/day. Rollaway allowed. 41m², 441sq.ft. Mountain or Town Views, Juliet Balcony, Sofitel MyBed, LCD TV. Marble bathroom with rain shower, double spa bath and LCD TV. Espresso machine and Bose Wave Radio. Complimentary WIFI up to 1 Gbps/day. No Rollaway allowed. 41m², 441sq.ft. Mountain or Town Views, Sofitel MyBed, LCD TV. Marble bathroom with rain shower, double spa bath & LCD TV. Espresso machine, Complimentary benefits: breakfast, evening drinks & canapés - 5 to 7pm in Club Lounge. WIFI up to 4 Gbps/day. 62m², 667sq.ft. 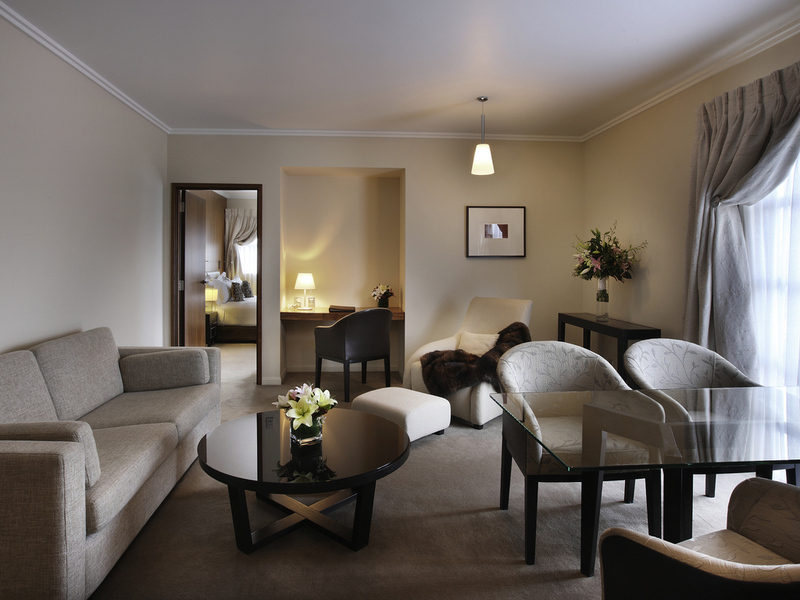 Separate living room, marble en-suite bathroom, double spa bath with LCD TV, Hermès amenities, Espresso machine. Complimentary benefits: breakfast, evening drinks and canapés from 5 to 7pm in Club Lounge. WIFI up to 4 Gbps/day. 185m², 1991sq.ft. 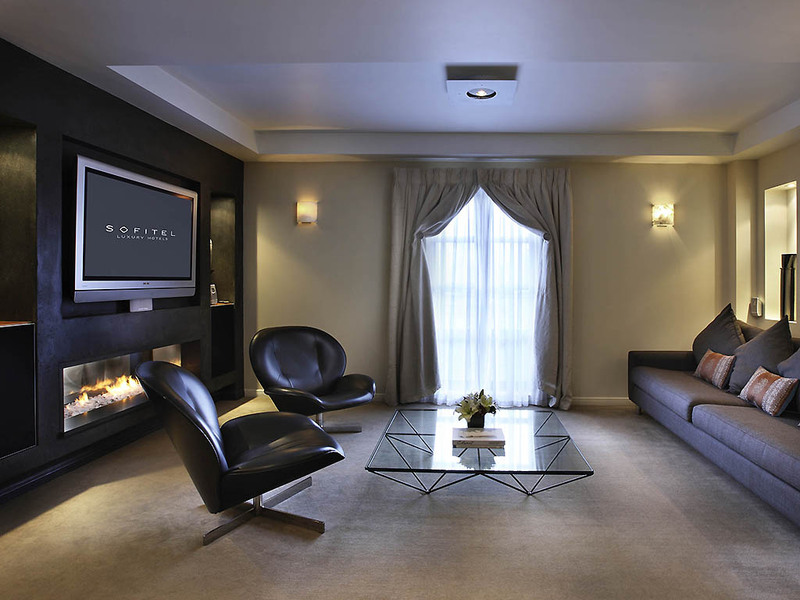 Two living areas, LCD TV and Home Theatre. Marble bathroom with French amenities. Kitchen, laundry facilities and large patio with Lake Views & Jacuzzi. 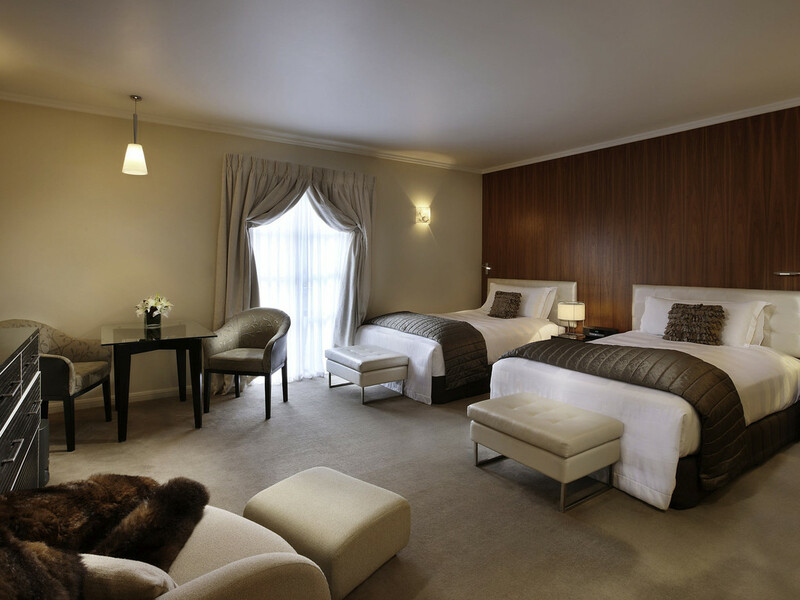 Complimentary benefits: breakfast, evening drinks and canapés daily and WIFI. 225m², 2422sq.ft. Top Floor with Lake Views, Patio and Outdoor Jacuzzi, Separate Living and Dining Areas, Bedroom with Sofitel MyBed, Private Theatre, Opulent Marble Bathroom with Hermès Bath Amenities, Complimentary Breakfast and Private Bar Beverages. Celebrate the elements of nature in Nue Lounge, a stylish Queenstown martini and champagne bar. Sip cocktails and fine wines from New Zealand terroirs around the open fire. Explore new vintages in interactive wine flights. Experience the art de recevoir in each magnifique event at Sofitel Queenstown Hotel and Spa. Sofitels Inspired Meetings Concierge is dedicated to creating unforgettable moments leaving your delegates or guests with a lasting impression. Meeting and event venues set the stage for success with sophisticated atmosphere and the latest technology. Choose from the Boardroom, The Ambassador Room or the La Galerie for traditional and luxurious venues hosting groups of 10 to 118 persons. Alternatively The Cellar is a unique option for boutique meetings interactive wine tastings and private dining welcoming up to 16 guests for a refined soiree or stylish gathering. Custom design a wedding event to reflect your personal love story. Sofitel's InspiredWeddings Planner brings dedication, talent, imagination and expertise to creating the details of your special day. Fine champagnes and award-winning cuisine elevate each banquet or cocktail party to a divine celebration. Sofitel's chefs delight your guests with a passionate marriage of flavours, artistic presentation and refined special touches to each dish. Host a private cocktail party for up to 50 guests in the penthouse suite with sweeping lake and mountain views adding unparalleled beauty to the moment. Add your own personalised romantic touches to one of the hotel's elegant wedding venues. Wedding guests luxuriate in 82 elegantly appointed rooms and suites. Juliet balconies add to the romance, while extravagant bathrooms featuring spa baths offer indulgent sensory experiences. Step into So SPA Queenstown, voted the World's Best Hotel Spa by Travel + Leisure magazine. So SPA features a range of unique Maori massages, classic treatments and signature So SPA rituals. Create a journey to remember. Please contact me for recommendations on the best places to visit within the local surroundings. Soothe your body with the sensory experiences of the traditional Hammam, steam room, cedar wood, Jacuzzi and far infrared sauna. Work up a sweat at our cardio and strength equipment at the So FIT gym and fitness centre.